Rockville Nights: HAS CHICKEN OUT CLOSED IN ROCKVILLE? Chicken Out recently moved up Rockville Pike to College Plaza, taking over the old A&W Restaurant. But recently, the parking lot is empty, and no one appears to be inside when I drive past. Yesterday evening, I pulled in during their business hours, and saw no evidence the restaurant was open. But no sign is posted to tell potential customers what is going on. 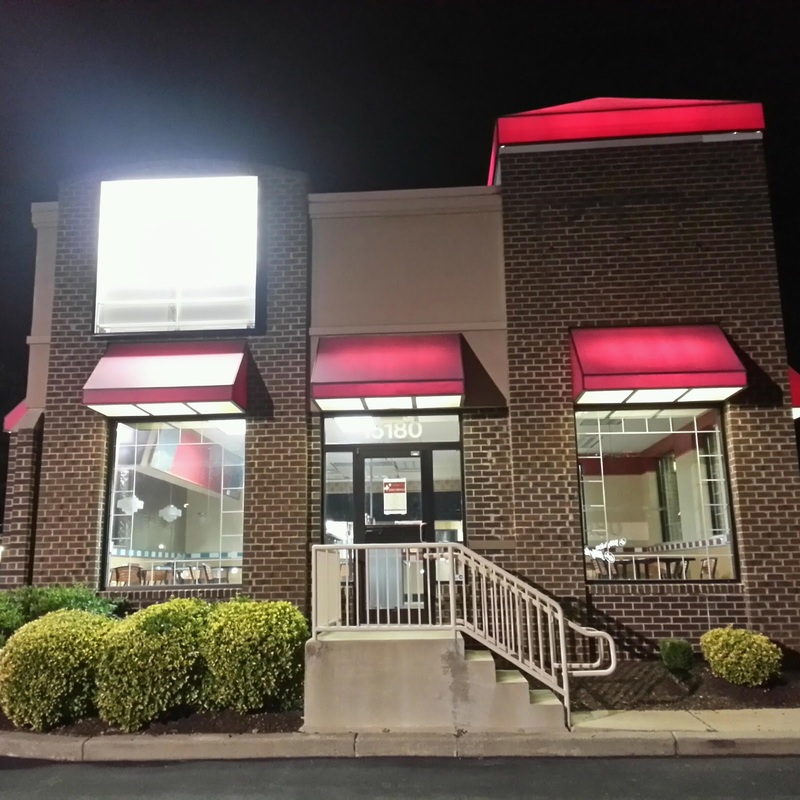 If the restaurant has closed, hopefully a fast food chain that doesn't currently have a restaurant in Montgomery County will move in, and make use of that drive-thru (Chicken Out did not use the drive-thru, but it is still there). I live in the nearby apartment complex. The answer is that yes, they closed a couple weeks back. I'm actually slightly surprised you didn't notice it sooner, Mr. Dyer. At first there was just a note posted on the door scrawled on printer paper reading "Closed". Then there was a more formal note reading "Our water heater has broken. We'll be closed until further notice." When I went by on Wednesday night, there were no notes of any kind, and the chairs had been packed up and taken away. It's very unfortunate-their food was not terrible, at least not in my opinion. I really liked their Philly big bite combo. I'd love to see another big name chain restaurant go in there, but it'll probably be some kind of ethnic food joint to accompany the Asian market moving into the old Magruders/Shoppers Food Warehouse space. Oh well. Can't win 'em all, I guess. I'm not too surprised. I never saw more than a couple of people in there at a time dining. They gave pretty quick though, they only opened a few months ago!